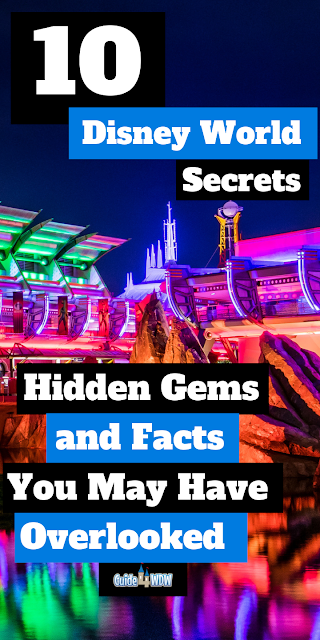 Walt Disney World is full of hidden secrets and facts that so many guests overlook time and time again, but a select few secrets stand out above the rest! 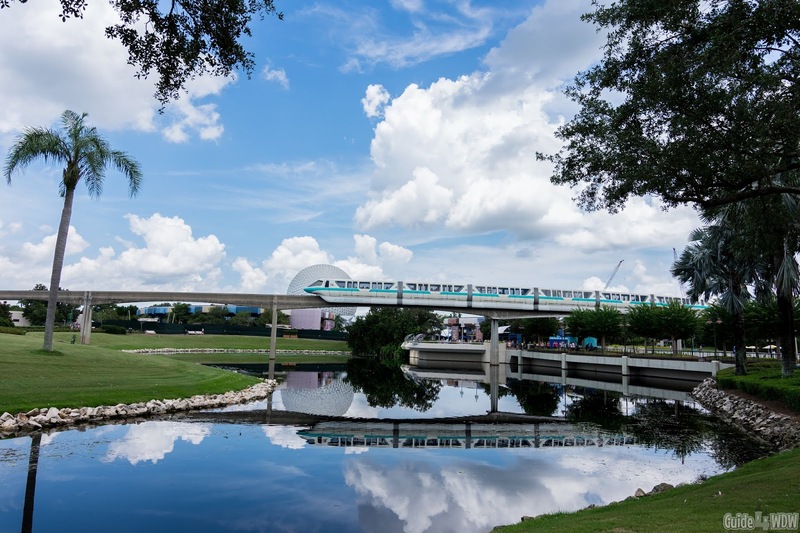 So, today, rather than sharing planning tips or even the news of the day, we're taking a moment to share some of our favorite little known facts of the Walt Disney World parks and resorts. In all reality, there are thousands and thousands of hidden gem secrets and little known details of the Disney parks around the world. It's amazing at times how much we can and do overlook along the way as guests, but today we're going to pick a select few of those little hidden details of the parks to share. As always, this list is in no way all-inclusive, so be sure to share your favorite details in the comments on your favorite social media platform! Believe it or not, after Test Track's remodel many years ago, Imagineering decided to hide one of the most creative Hidden Mickey's you'll ever find in the parks. When you pass through the room with the test vehicle layout on the wall during the ride, look over to the side and you'll see a web address tucked away in the background of the image on the wall. The address reads http://wdw2.wdpromedia.com/media/wdw_nextgen/favicon.ico. If you go to that link, you'll find one of the most impressive Hidden Mickey's hiding in plain site. Moving over to Magic Kingdom, if you make the journey over to Liberty Square be sure to look up and around you for a subtle detail that many guests walk right past. If you take the time to pay attention to the details all around you you'll notice that the window shutters bow out at a slight angle. The subtle offset is designed to mimic the wear windows would have shown as a result of the leather straps adhering them to the window in that time frame. At the time period represented by Liberty Square, the shutters would have shown similar wear over time, but Disney's shutters were intentionally developed with metal while they replicate the leather design. In the early days of Walt Disney World, an attraction called 20,000 Leagues Under the Sea took guests underwater in submarines. The attraction was closed in 1994 and later replaced. Fortunately, Imagineering made a special effort to pay reference to the attraction so many guests enjoyed through hidden details in neighboring attractions. Perhaps one of the greatest examples of this is the tree outside of the Minnie Adventures of Winnie the Pooh. Just inside the door of the tree you'll find a small nautilus hidden from view unless you're deliberately looking for it! It's a subtle touch of the past hiding in the present. Over at Magic Kingdom in Fantasyland you'll find one barrel randomly placed near the exit of Peter Pan's Flight. 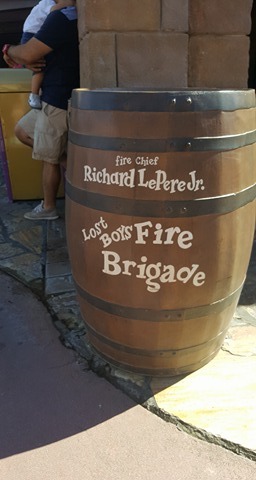 The barrel simply states "Fire Chief Richard LePere Jr. .... Lost Boys Fire Brigade" Almost ironically, the barrel cleverly hides a fire hydrant that would otherwise ruin the theming elements of Fantasyland and the era it intends to portray. The name on the barrel typically represents the current local fire chief to help emergency services find the hydrant if they ever needed it in a worst case scenario. 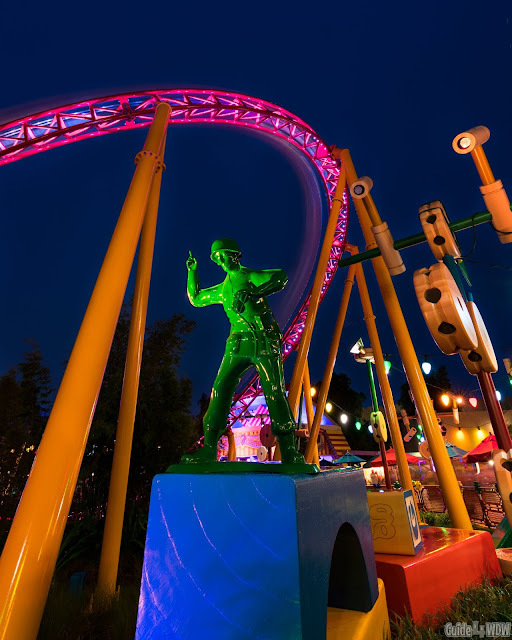 While I've yet to discover all of the details of Toy Story Land, one particular piece of the experience stood out right away. As you wait in the queue for Slinky Dog Dash, you'll notice a giant box for "Rex" near the end of the queue. In the top corner of the box, you'll notice a sticker with a price tag listing the toy as $19.95. Coincidentally, that number coincides with the 1995 debut of the Toy Story film! The Shocking Historical Accuracy of the Liberty Square "Pavement"
Moving back over to Liberty Square once again, if you happen to look down at the pavement, you may notice a weird design and color change from red to brown in the middle of the street. To many, the slight change goes utterly unnoticed, but it's one of those Disney details that didn't necessarily have to be added to the park. The slight change over represents the period in time of the land. At that point in time, waste was dumped in the street and, in turn, created a river of waste in the middle of the road. Believe it or not, the tank in Sea Base Alpha is larger in diameter than Spaceship Earth! The massive main tank houses fish of an incredibly diverse variety along with sharks and dolphins. Viewing the sea life inside the tank is a piece of the Epcot experience that many guests ignore entirely. After you leave the Seas with Nemo and Friends attraction, take a few minutes to explore the aquarium and you may be surprised by how much you enjoy it! When Morocco was first asked to be a part of the World Showcase, the King of Morocco was so excited by the project that he sent skilled craftsman from his country to work on the project with Imagineering. Since that point in time, despite many changes to Epcot, Morocco seems to have held it's authenticity to a greater degree than many of the other pavilions. If you stay until the sun goes down at Epcot, be sure to stop by the main area, near Spaceship Earth, to catch a glimpse of a unique detail that continually catches guests off guard. 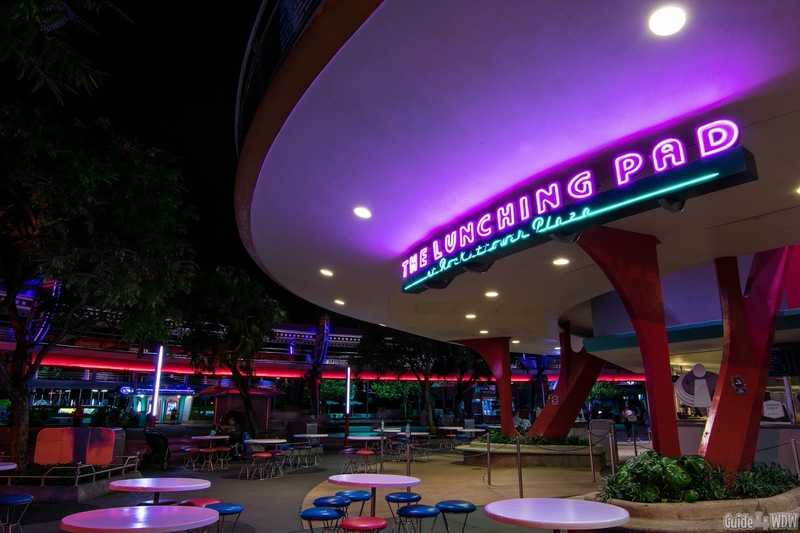 As you leave the park or slowly make your way towards the front of the park for various reasons, on the left and right side of Spaceship Earth (near the former Innoventions) you'll find glowing lights buried in the pavement illuminating the paths. It's not a show stopping hidden gem but rather one that continually provides that one last unexpected piece of magic for guests as they leave the park. 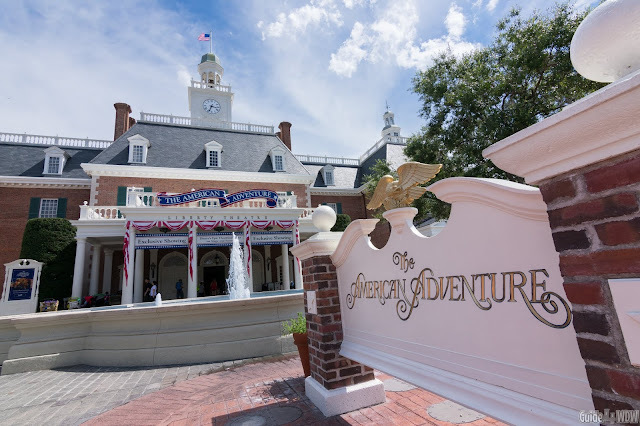 The American Adventure pavilion is one that guests overlook in general but one particular little detail is the sheer number of "white" shades of paint that are a part of the design of the main building. As you move up from the bottom of the building to the top with your eyes, you'll notice a slight change in white at essentially every tier to help better outline the building. Not only does it add depth, but it's one of those little things that only Disney would take the time and effort to perfect.